Tightly integrated with the the New York University School of Law, the Hauser Global Law School Program is a Law Faculty oriented to the global aspects of law and rights and featuring a special teaching activity. According to this mission this school supports a large number of seminars, fora, colloquia, annual conferences and lectures by inviting distinguished speakers from the worlds of the judiciary, practice, and academia. Its website gives access to detailed information of the Hauser activities and special events. Four working paper series are provided completely free of charge and easily downloadable in pdf or html format, covering topics dealing with global law, international economic regulations, human rights and global justice, and related topics. Available many research tools as well. 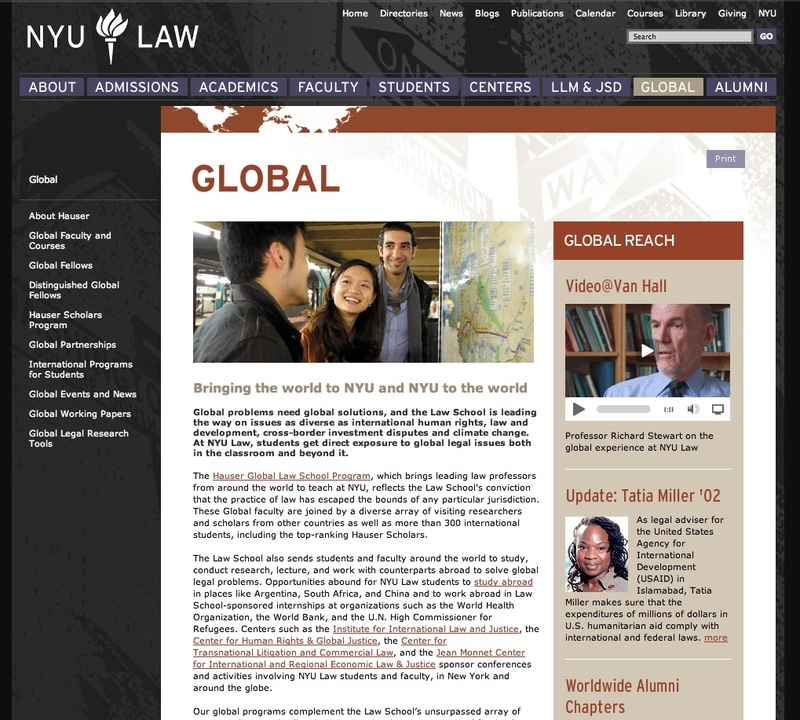 An entire section is devoted to Globalex, an electronic legal publication by the Hauser School dedicated to international and foreign law research with a database for locating particular subjects within global journals and indexes. Guides to other online global law resources, and European and global law book review programs are also provided, always for free. For students the Hauser’s website also offers e-learning services, providing a large amount of teaching material, syllabi and courses descriptions. High level of usability and frequent updating rate.